What an interesting year I have had in 2017. Many exciting things that happened a few disappointments but most importantly understanding more about myself and what I am capable of as well as the fact that the world is full of people who want the best for themselves, their families and their community. In 2017 I started my own company with Rikki Jack and left the confines of permanent employment. I worked long hours and looked after my body, well at least for the first 9 months of the year. I was not as creative in terms of visual design work as spare time was at a premium. 2017 saw the birth of two more Nieces and sadly the passing of my Gran, an amazing woman who is such an inspiration. I was privileged to end the year off with a great deal of travel, something that I have wanted to do for a long time. I visited 10 different countries (France and Switzerland don’t count I guess as I did not leave the airport) on 27 flights going around the world three times, flying for one week. All the Travel was for work with Wealth Migrate launching global offices and attending blockchain events. The travel was on three separate trips. London for 4 more days, the flight was through Zurich both ways but I did not get to leave the airport. London for 2 days after which I flew home through Paris but unfortunately could not leave the airport. This travel was my first international travel so talk about starting off with a bang :-). Travel should be compulsory for people to do in order to get an understanding of the world that we live in, the fact that we are all more similar than we think and that a global viewpoint is so powerful. I would recommend to anyone to travel, the world is so full of opportunity and traveling abroad gives you massive perspective. I read and listened to some amazing books for the first time in 2017: The Upstarts, Stealing Fire, The hard thing about hard things, Leaders eat last, Whats your moonshot and busy with Finding my virginity. I also reread some of my staple favourites such a Bold, Exponential Organisations, Anything you want, Positive Intelligence, The code of the extraordinary mind and Pitch Anything. As part of my 2018 goal and vision setting I have made it a point to write more things down whether these are public in the form of this blog or whether it is just in private will remain to be seen. The Banghoek (meaning “scary corner”) valley is located over the Hellshoogte pass and an area in which I will own an estate one day. 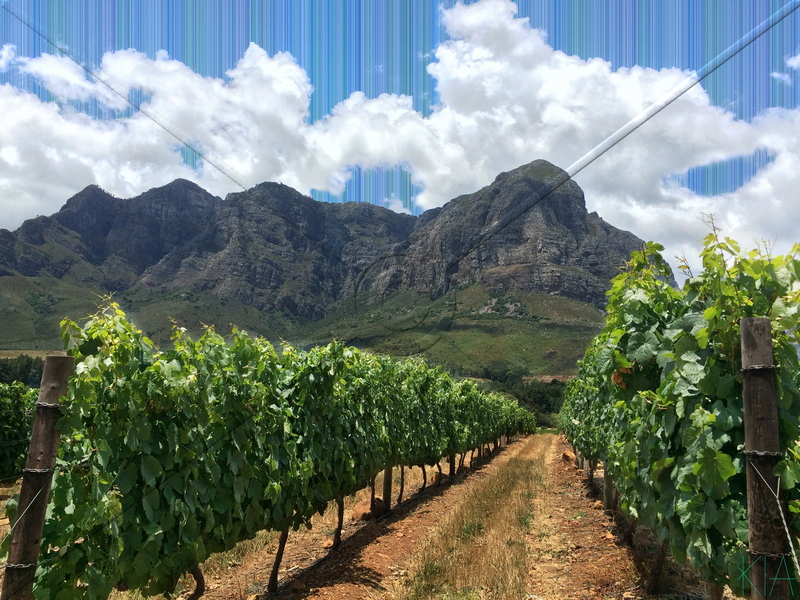 The picture for this striated sky was taken on the Oldenburg wine estate (in the Banghoek Valley) looking up at the Drakenstein Mountain Range. Banghoek Valley, got its name due to the dense forest, leopards, steep ravines and other dangers encountered by settlers. Hellshoogte is the oldest pass in South Africa. The original Pass was built in 1692, in order to make ones way to Franschoek (where the Huguenots settled after arriving in 1688). It was the main road to Franschhoek and for many years was regarded as a dangerous route, especially in the dark. The origins of the name is likely from the steep gullies (“hells”) on the ridge. In 1854 the road was greatly improved and used until being replaced by the new/current road in 1972. A left turn off the R310 onto Zevenrivieren road will put the Mountains in front of you, the road winds and becomes gravel. The road is well sign posted and finding Oldenburg estate is a cinch. On arrival you are greeted by the spectacular new Cellar Door. The building was designed by architect Simon Beerstecher, and the interior design is by Kelly Hoppen. Oldenburg is owned and run by Adrian and Vanessa Vanderspuy. Adrian was born on the neighbouring farm but his family left South Africa in the 1960’s. He would return to visit Oldenburg yearly for Christmas. Dorothy Vanrenen, Adrians grandmother, lived at Oldenburg with Helmet Holmann. In fact it is Helmet who named the farm Oldenburg in memory of his German roots in the city of Oldenburg. Visit the Oldenburg Vineyards Website for more history. It was in 2002 that Adrian decided to pursue the possibility of bringing Oldenburg Vineyards back to life given that the farm had fallen into a parlous state. The vineyards were replanted from 2004-2006 and the maiden vintages of Syrah, Cabernet Sauvignon and Cabernet Franc were produced in 2007. In 2010 the first whites were produced, the reds were launched (all were included in the SA Top 100 wines) and in 2011 the cellar door opened. In 2014 Philip Costandius joined as General Manager and Winemaker, later that year The Homestead was opened. Visit the Oldenburg Vineyards Website to find out more about this amazing place and the people who make it happen or go one step better and visit them in person, you will not regret it. The views are amazing, the wine terrific and the atmosphere spectacular. As I said at the beginning, one day I will own a property in this valley. I have to end off this blog by saying Thanks to all the peole who have followed me and my 52 Striated Skies Project. My next big step is going to be figuring out how I can exhibit this in 2016. Here is to an awesome 2016!!! The St James Catholic Church building in this weeks Striated sky was opened in 1901. The church building was designed by George Ransom and built by Father John Duignam and his Filipino parishioners. 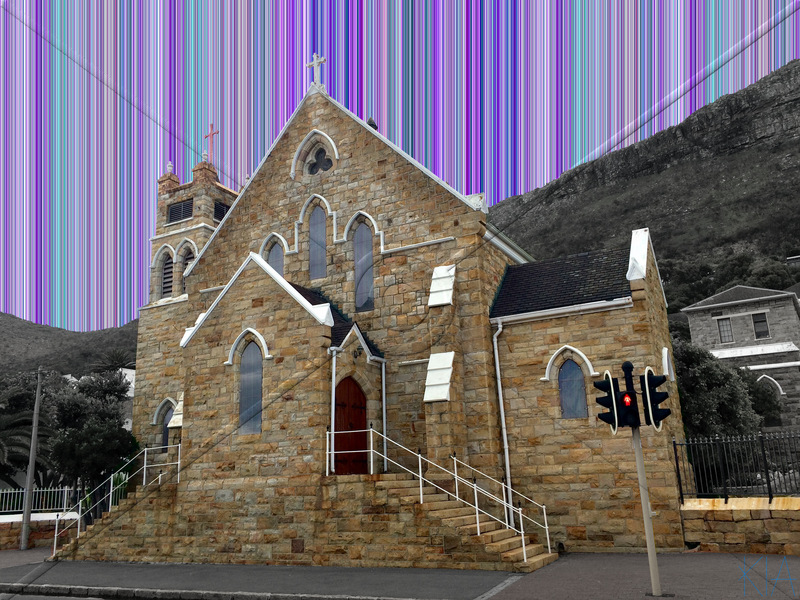 The Parish of St James started in 1859 to serve the Filipino community of Kalk Bay. Given the spanish legacy of the community the name St James was chosen in honour of the apostle and fisherman, Patron saint of Spain. The original building stood where the current station stands. When the train made its was to Kalk Bay in 1883 the church became a stopping point for the train known as St James Church Halt. By 1893 a platform was built known as St James’s. The suburb (which was part of Kalk Bay) took on the name St James. The builsing at the station building grew too small and thus was sold to Cape Government Railways for £2000 in 1900. It was with these proceeds that Fr Duignam was able to build the current building. In 1924, the Golden Jubilee of Fr. Duignam, the stained-glass window behind the high altar was unveiled to celebrate his service to the parish. In 1947, under the direction of Father Harold Doran, substantial alterations, including moving the entrance to the current configuration the main road, were completed. Below is a picture of the building before alterations were made. St James has been a popular beach for many years and still retains its numerous colourful victorian bathing boxes. The suburb is a very trendy place to live and is well worth a visit together with its neighbours on the false bay coast. For more history check out KALK BAY, ST. JAMES – A brief history illustrated with postcards of a bygone era by Michael Walker. George Ransom also designed the Markham Building, which when completed in 1897 was the tallest building in Johannesburg (Cnr of Eloff and Pritchard). The large clock imported from Scotland has four faces North, South, East and West. The building was known as Markham’s Folly as it stood out in the centre of Johannesburg with the clock visible for miles. The building housed the second store of Henry William Markham who arrived in Cape Town from England in 1873, setting up a successful outfitter’s business. Markhams was bought by the Foshini Group in 1968. In 1979 the building was saved from demolition. Striated Skies No. 50 – This is South Africa! 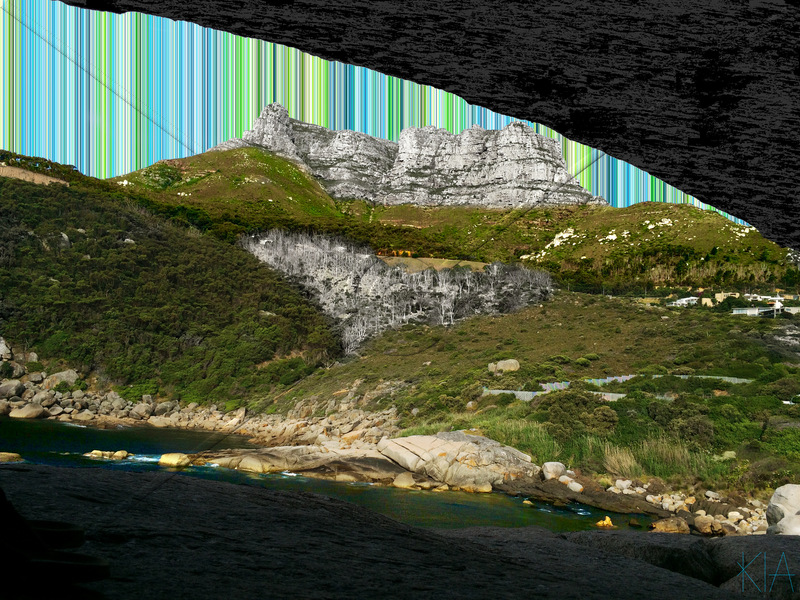 The photo that inspired this Striated Sky was taken from inside one of the boulders on the Logies Bay promontory, north of Llandudno Beach, looking towards the Mountain. Llandudno is a small residential suburb off Victoria Road just before Hout Bay. It is named after Llandudno on the Welsh coast. The area was known as Kleinkommetjie Bay until 1903 when Mrs Wege, wife of one of the directors of the Camps Bay Extension Estates, returned from a holiday to the UK and was struck by the similarity between Llandudno in Wales and Kleinkommetjie Bay. Llandudno beach is absolutely stunning and in 2012 was used “by mistake” to represent the French North coast in London billboard adverts. The French tourism ads were trying to get people to go on holiday to France during the Olympics. A London based fashion photographer, Bradford Bird, picked up that the photo was Llandudno given that he had grown up there. According to a Telegraph article the ad agency had made a sorting error, apologised and changed the picture to one of France. I am sure that they just adored the beauty of the South African coast and had to use the picture ;-). If you would like to own a piece of this beautiful seaside suburb you will need between R8.5 – R50 Million. If you earn a currency other than Rand now if the time to buy as you could scoop up a stunning 4 bedroom on the rocks for US$2.8M (£1.86M) or if you are on a budget and don’t mind a walk to the beach you can buy a stunning 5 bedroom family Villa for US$812k (£533k). You will not regret having your own spot on a piece of the most beautiful coastline in the world, what are you waiting for….